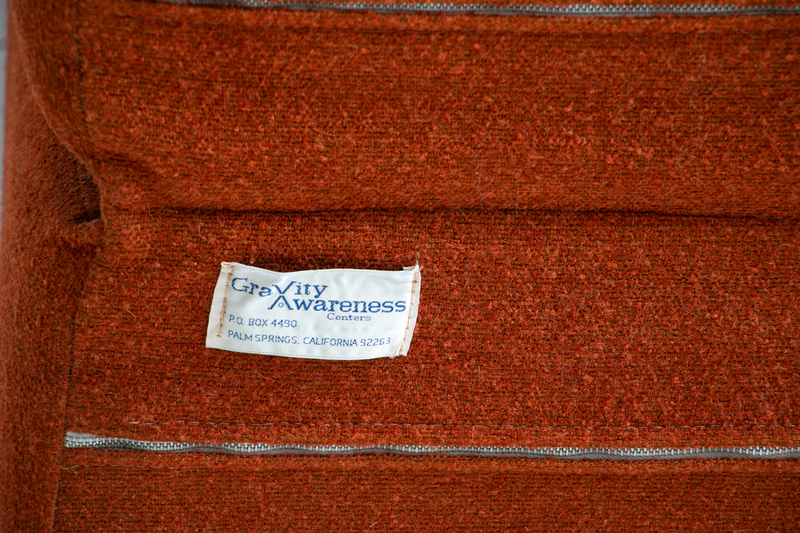 An excellent rare example of a convertible cushion system made by Gravity Awareness Centers of Palm Springs, CA. 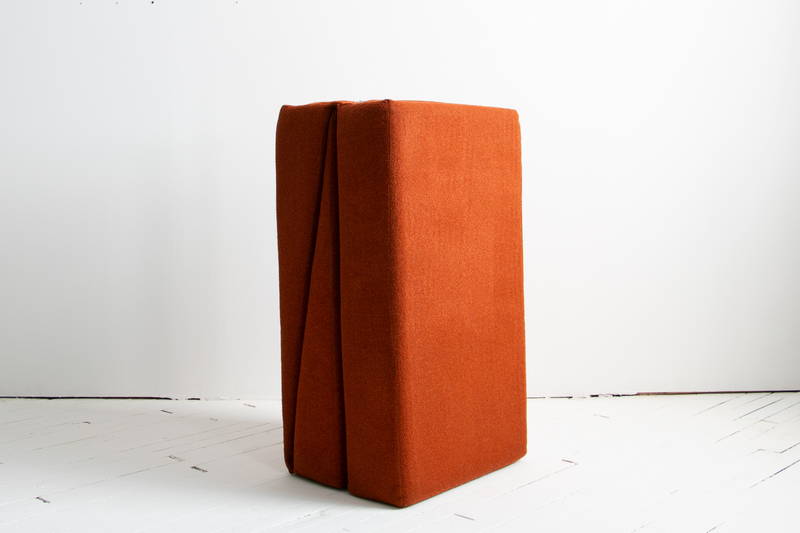 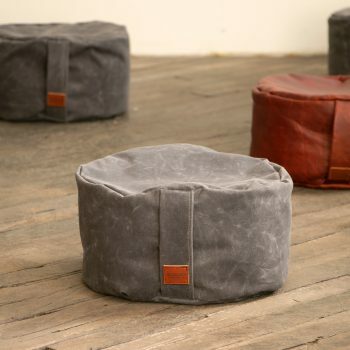 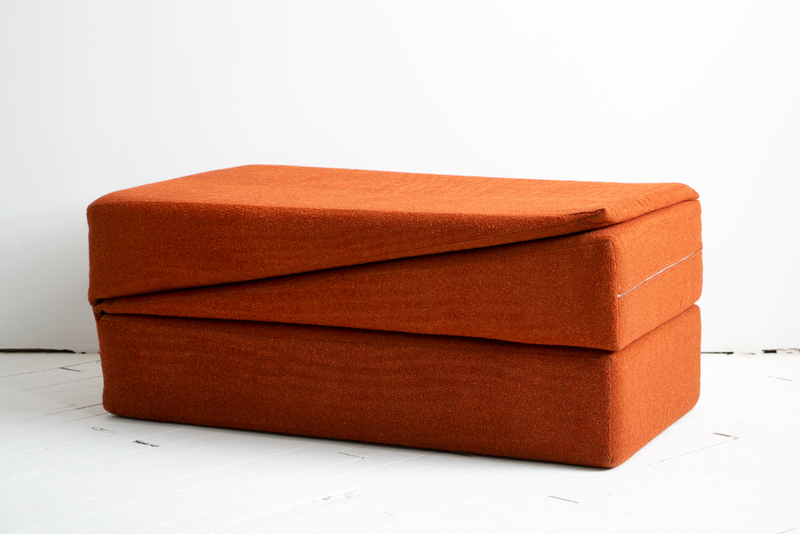 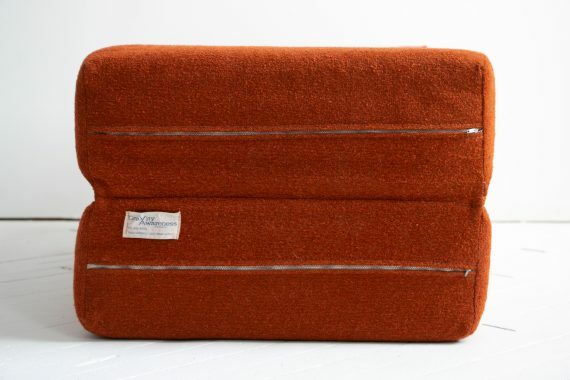 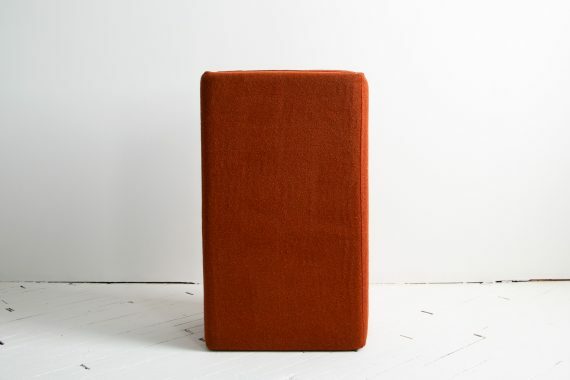 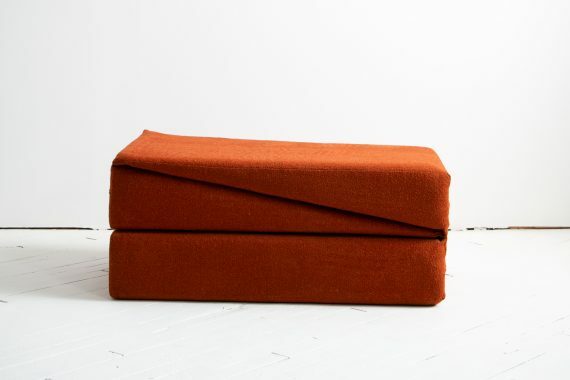 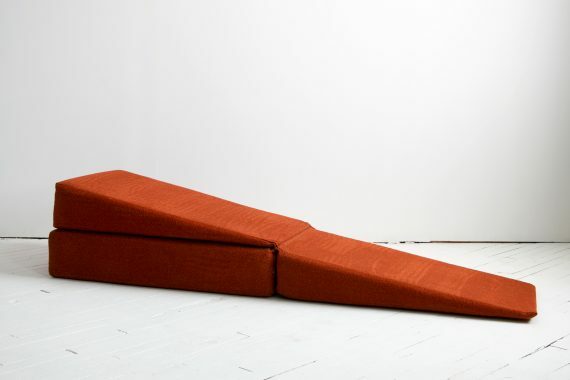 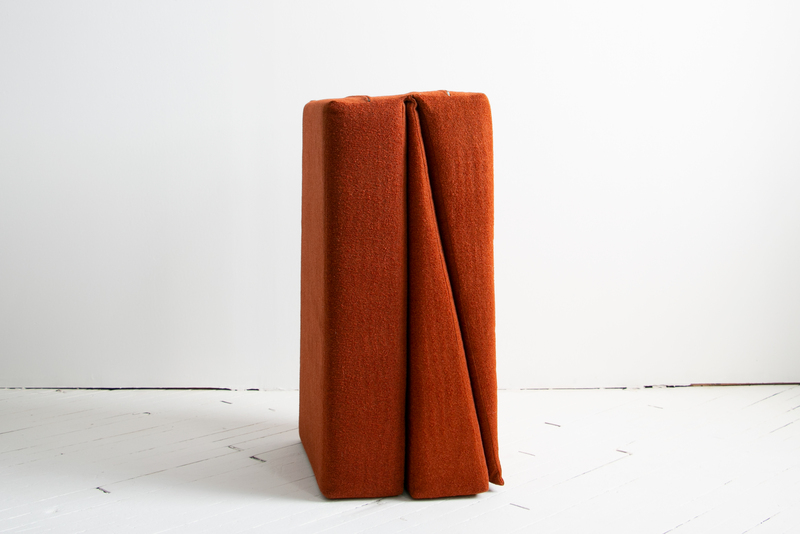 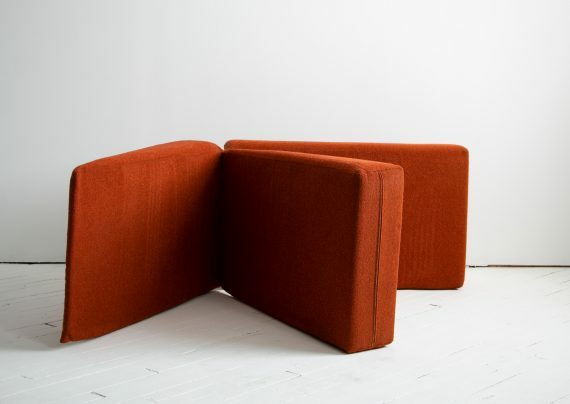 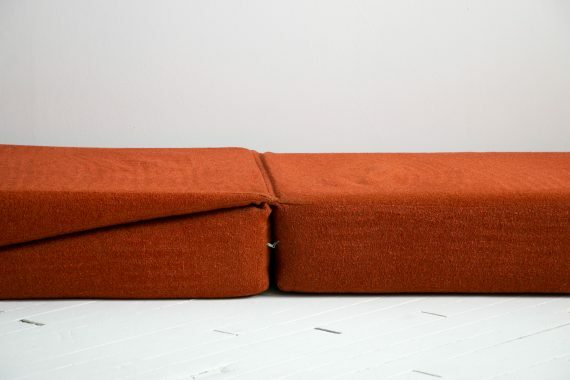 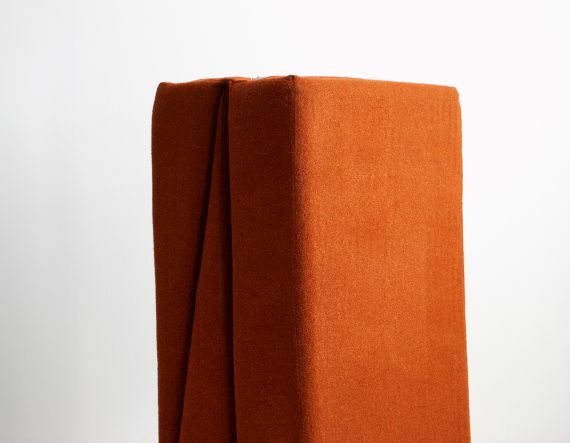 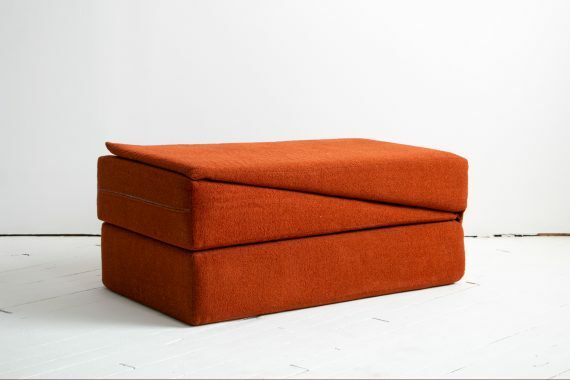 This cushion was designed as portable furniture as well as a yoga and inversion prop. 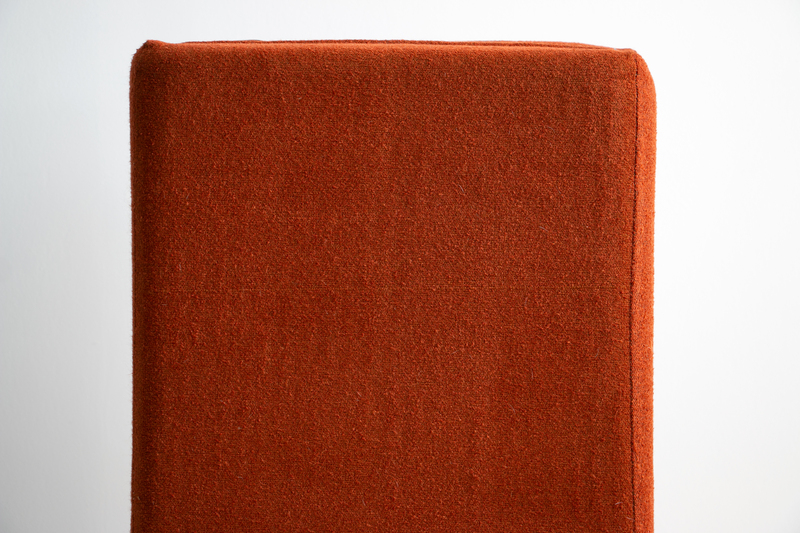 The foam is still supple and the cover fabric is in excellent condition as can be seen in the photographs. 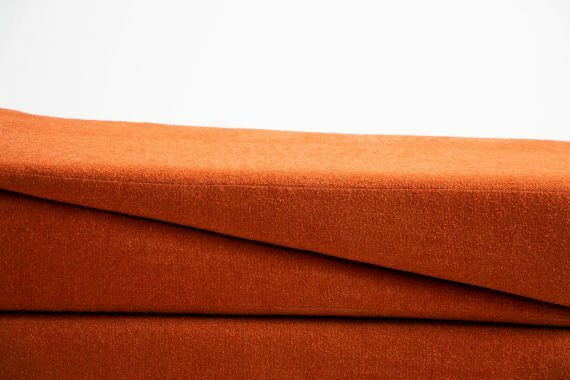 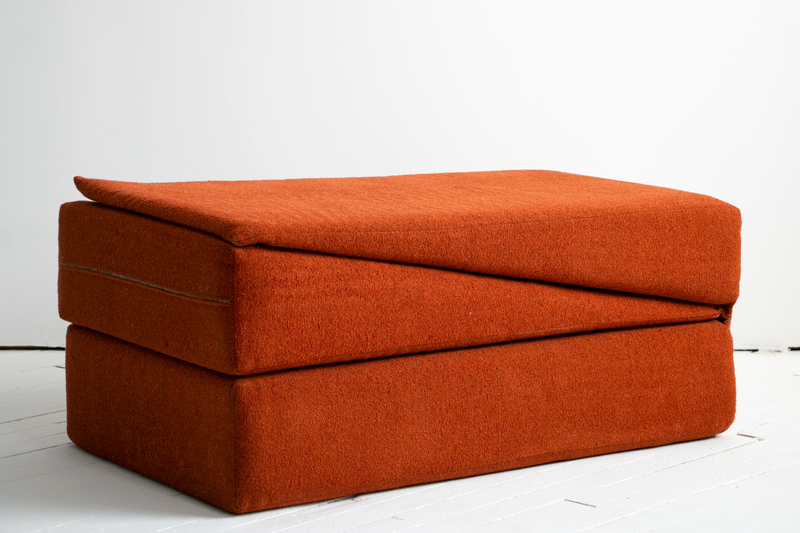 Is stylish as a seating object or as a portable bed. Great modernist lines and colors. 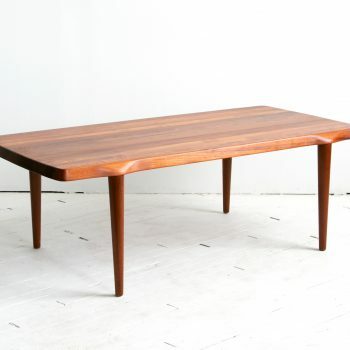 Measures 35″ x 21″ x 15″ when folded together. 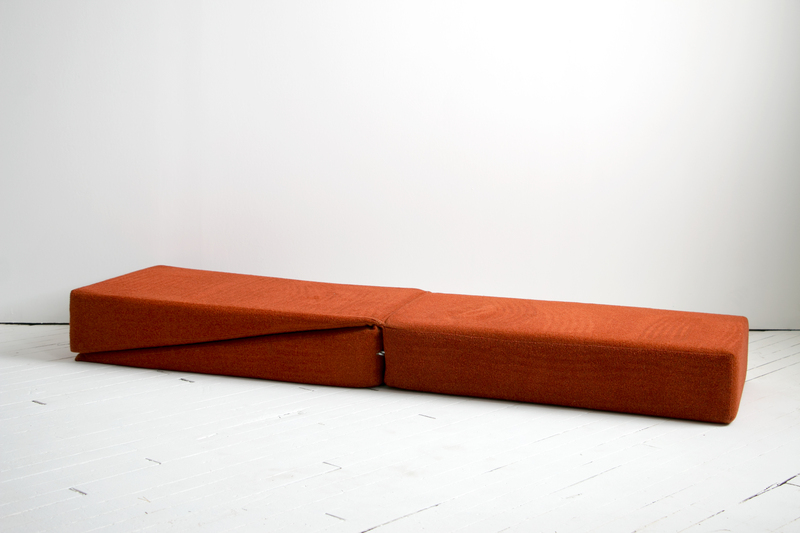 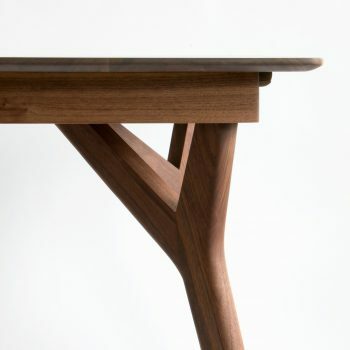 70″ in length when unfolded.